Accessory Dwelling Units (ADU) aka Granny Flats in California! Building Accessory Units Just Got Easier! Senate Bill 1069 makes it easier to build Accessory Dwelling Units aka Granny Flats in California! Although SB 1069 streamlines the process and reduces fees and parking requirements, the local building departments still have rules and regulations for submitting applications and plans for a Accessory Dwelling Unit. Select Floor Plan, Specifications, Decor, Etc. Building the ADU off site while completing all onsite construction necessary to meet local ADU requirements, including, utilities, foundation, install, parking etc. Price includes: Design, fabrication, delivery, foundation, install, fixtures and finishes to USM specifications (add links here for both HUD and Modular specifications) Manufactured home ADU must be approved by local building department and site accessibility. Assumes level lot with normal soil conditions. Excluded: Civil engineering, local utility and development fees. Pricing is for the following counties, Los Angeles, San Diego, Orange, Riverside, San Bernardino. Areas outside of this will incur additional costs. Are Existing Ordinances Null and Void? Yes, any local ordinance adopted prior to January 1, 2017 that is not in compliance with the changes to ADU law will be null and void. Until an ordinance is adopted, local governments must apply “state standards” In the absence of a local ordinance complying with ADU law, local review must be limited to “state standards” and cannot include additional requirements such as those in an existing ordinance. Are Local Governments Required to Adopt an Ordinance? No, a local government is not required to adopt an ordinance. ADUs built within a jurisdiction that lacks a local ordinance must comply with state standards (See Attachment 4). Adopting an ordinance can occur through different forms such as a new ordinance, amendment to an existing ordinance, separate section or special regulations within the zoning code or integrated into the zoning code by district. However, the ordinance should be established legislatively through a public process and meeting and not through internal administrative actions such as memos or zoning interpretations. Can a Local Government Preclude ADUs? No local government cannot preclude ADUs. Can a Local Government Apply Development Standards and Designate Areas? Yes, local governments may apply development standards and may designate where ADUs are permitted (GC Sections 65852.2(a)(1)(A) and (B)). However, ADUs within existing structures must be allowed in all single family residential zones. For ADUs that require an addition or a new accessory structure, development standards such as parking, height, lot coverage, lot size and maximum unit size can be established with certain limitations. ADUs can be avoided or allowed through an ancillary and separate discretionary process in areas with health and safety risks such as high fire hazard areas. However, standards and allowable areas must not be designed or applied in a manner that burdens the development of ADUs and should maximize the potential for ADU development. Designating areas where ADUs are allowed should be approached primarily on health and safety issues including water, sewer, traffic flow and public safety. Utilizing approaches such as restrictive overlays, limiting ADUs to larger lot sizes, burdensome lot coverage and setbacks and particularly concentration or distance requirements (e.g., no less than 500 feet between ADUs) may unreasonably restrict the ability of the homeowners to create ADUs, contrary to the intent of the Legislature. Requiring large minimum lot sizes and not allowing smaller lot sizes for ADUs can severely restrict their potential development. For example, large minimum lot sizes for ADUs may constrict capacity throughout most of the community. Minimum lot sizes cannot be applied to ADUs within existing structures and could be considered relative to health and safety concerns such as areas on septic systems. While larger lot sizes might be targeted for various reasons such as ease of compatibility, many tools are available (e.g., maximum unit size, maximum lot coverage, minimum setbacks, architectural and landscape requirements) that allows ADUs to fit well within the built environment. Can a Local Government Adopt Less Restrictive Requirements? Yes, ADU law is a minimum requirement and its purpose is to encourage the development of ADUs. Local governments can take a variety of actions beyond the statute that promote ADUs such as reductions in fees, less restrictive parking or unit sizes or amending general plan policies. Can Local Governments Establish Minimum and Maximum Unit Sizes? Yes, a local government may establish minimum and maximum unit sizes (GC Section 65852.2(c). However, like all development standards (e.g., height, lot coverage, lot size), unit sizes should not burden the development of ADUs. For example, setting a minimum unit size that substantially increases costs or a maximum unit size that unreasonably restricts opportunities would be inconsistent with the intent of the statute. Typical maximum unit sizes range from 800 square feet to 1,200 square feet. Minimum unit size must at least allow for an efficiency unit as defined in Health and Safety Code Section 17958.1. ADU law requires local government approval if meeting various requirements (GC Section 65852.2(a)(1)(D)), including unit size requirements. Specifically, attached ADUs shall not exceed 50 percent of the existing living area or 1,200 square feet and detached ADUs shall not exceed 1,200 square feet. A local government may choose a maximum unit size less than 1,200 square feet as long as the requirement is not burdensome on the creation of ADUs. Can ADUs Exceed General Plan and Zoning Densities? An ADU is an accessory use for the purposes of calculating allowable density under the general plan and zoning. For example, if a zoning district allows one unit per 7,500 square feet, then an ADU would not be counted as an additional unit. Minimum lot sizes must not be doubled (e.g., 15,000 square feet) to account for an ADU. Further, local governments could elect to allow more than one ADU on a lot. New developments can increase the total number of affordable units in their project plans by integrating ADUs. Aside from increasing the total number of affordable units, integrating ADUs also promotes housing choices within a development. ADUs are constructed at the same time as the primary single‐family unit to ensure the affordable rental unit is available in the housing supply concurrent with the availability of market rate housing. How Are Fees Charged to ADUs? All impact fees, including water, sewer, park and traffic fees must be charged in accordance with the Fee Mitigation Act, which requires fees to be proportional to the actual impact (e.g., significantly less than a single family home). Fees on ADUs, must proportionately account for impact on services based on the size of the ADU or number of plumbing fixtures. For example, a 700 square foot new ADU with one bathroom that results in less landscaping should be charged much less than a 2,000 square foot home with three bathrooms and an entirely new landscaped parcel which must be irrigated. Fees for ADUs should be significantly less and should account for a lesser impact such as lower sewer or traffic impacts. What Utility Fee Requirements Apply to ADUs? Cities and counties cannot consider ADUs as new residential uses when calculating connection fees and capacity charges. Where ADUs are being created within an existing structure (primary or accessory), the city or county cannot require a new or separate utility connections for the ADU and cannot charge any connection fee or capacity charge. For other ADUs, a local agency may require separate utility connections between the primary dwelling and the ADU, but any connection fee or capacity charge must be proportionate to the impact of the ADU based on either its size or the number of plumbing fixtures. What Utility Fee Requirements Apply to Non-City and County Service Districts? All local agencies must charge impact fees in accordance with the Mitigation Fee Act (commencing with Government Code Section 66000), including in particular Section 66013, which requires the connection fees and capacity charges to be proportionate to the burden posed by the ADU. Special districts and non-city and county service districts must account for the lesser impact related to an ADU and should base fees on unit size or number of plumbing fixtures. Providers should consider a proportionate or sliding scale fee structures that address the smaller size and lesser impact of ADUs (e.g., fees per square foot or fees per fixture). Fee waivers or deferrals could be considered to better promote the development of ADUs. Do Utility Fee Requirements Apply to ADUs within Existing Space? No, where ADUs are being created within an existing structure (primary or accessory), new or separate utility connections and fees (connection and capacity) must not be required. Does “Public Transit” Include within One-half Mile of a Bus Stop and Train Station? Yes, “public transit” may include a bus stop, train station and paratransit if appropriate for the applicant. “Public transit” includes areas where transit is available and can be considered regardless of tighter headways (e.g., 15 minute intervals). Local governments could consider a broader definition of “public transit” such as distance to a bus route. Can Parking Be Required Where a Car Share Is Available? No, ADU law does not allow parking to be required when there is a car share located within a block of the ADU. A car share location includes a designated pick up and drop off location. Local governments can measure a block from a pick up and drop off location and can decide to adopt broader distance requirements such as two to three blocks. Is Off Street Parking Permitted in Setback Areas or through Tandem Parking? Yes, ADU law deliberately reduces parking requirements. Local governments may make specific findings that tandem parking and parking in setbacks are infeasible based on specific site, regional topographical or fire and life safety conditions or that tandem parking or parking in setbacks is not permitted anywhere else in the jurisdiction. However, these determinations should be applied in a manner that does not unnecessarily restrict the creation of ADUs. Local governments must provide reasonable accommodation to persons with disabilities to promote equal access housing and comply with fair housing laws and housing element law. The reasonable accommodation procedure must provide exception to zoning and land use regulations which includes an ADU ordinance. Potential exceptions are not limited and may include development standards such as setbacks and parking requirements and permitted uses that further the housing opportunities of individuals with disabilities. No, off street parking must be permitted through tandem parking on an existing driveway, unless specific findings are made. Is Replacement Parking Required When the Parking Area for the Primary Structure Is Used for an ADU? Yes, but only if the local government requires off-street parking to be replaced in which case flexible arrangements such as tandem, including existing driveways and uncovered parking are allowed. Local governments have an opportunity to be flexible and promote ADUs that are being created on existing parking space and can consider not requiring replacement parking. Are ADUs Permitted in Existing Residence or Accessory Space? Yes, ADUs located in single family residential zones and existing space of a single family residence or accessory structure must be approved regardless of zoning standards (Section 65852.2(a)(1)(B)) for ADUs, including locational requirements (Section 65852.2(a)(1)(A)), subject to usual non-appealable ministerial building permit requirements. For example, ADUs in existing space does not necessitate a zoning clearance and must not be limited to certain zones or areas or subject to height, lot size, lot coverage, unit size, architectural review, landscape or parking requirements. Simply, where a single family residence or accessory structure exists in any single family residential zone, so can an ADU. The purpose is to streamline and expand potential for ADUs where impact is minimal and the existing footprint is not being increased. Zoning requirements are not a basis for denying a ministerial building permit for an ADU, including non-conforming lots or structures. The phrase, “within the existing space” includes areas within a primary home or within an attached or detached accessory structure such as a garage, a carriage house, a pool house, a rear yard studio and similar enclosed structures. 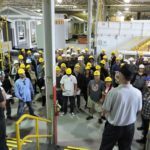 Are Fire Sprinklers Required for ADUs? Depends, ADUs shall not be required to provide fire sprinklers if they are not or were not required of the primary residence. However, sprinklers can be required for an ADU if required in the primary structure. For example, if the primary residence has sprinklers as a result of an existing ordinance, then sprinklers could be required in the ADU. Alternative methods for fire protection could be provided. If the ADU is detached from the main structure or new space above a detached garage, applicants can be encouraged to contact the local fire jurisdiction for information regarding fire sprinklers. Since ADUs are a unique opportunity to address a variety of housing needs and provide affordable housing options for family members, students, the elderly, in-home health care providers, the disabled, and others, the fire departments want to ensure the safety of these populations as well as the safety of those living in the primary structure. Fire Departments can help educate property owners on the benefits of sprinklers, potential resources and how they can be installed cost effectively. For example, insurance rates are typically 5 to 10 percent lower where the unit is sprinklered. Finally, other methods exist to provide additional fire protection. Some options may include additional exits, emergency escape and rescue openings, 1 hour or greater fire-rated assemblies, roofing materials and setbacks from property lines or other structures. Is Manufactured Housing (HUD) Permitted as an ADU? Yes, an ADU is any residential dwelling unit with independent facilities and permanent provisions for living, sleeping, eating, cooking and sanitation. 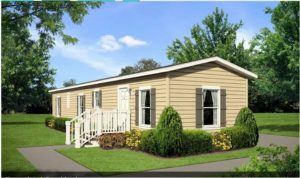 An ADU includes an efficiency unit (Health and Safety Code Section 17958.1) and a manufactured home (Health and Safety Code Section 18007). Health and Safety Code Section 18007(a) “Manufactured home,” for the purposes of this part, means a structure that was constructed on or after June 15, 1976, is transportable in one or more sections, is eight body feet or more in width, or 40 body feet or more in length, in the traveling mode, or, when erected on site, is 320 or more square feet, is built on a permanent chassis and designed to be used as a single- family dwelling with or without a foundation when connected to the required utilities, and includes the plumbing, heating, air conditioning, and electrical systems contained therein. 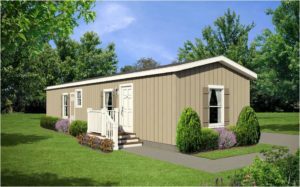 “Manufactured home” includes any structure that meets all the requirements of this paragraph except the size requirements and with respect to which the manufacturer voluntarily files a certification and complies with the standards established under the National Manufactured Housing Construction and Safety Act of 1974 (42 U.S.C., Sec. 5401, and following). Can an Efficiency Unit Be Smaller than 220 Square Feet? Yes, an efficiency unit for occupancy by no more than two persons, by statute (Health and Safety Code Section 17958.1), can have a minimum floor area of 150 square feet and can also have partial kitchen or bathroom facilities, as specified by ordinance or can have the same meaning specified in the Uniform Building Code, referenced in the Title 24 of the California Code of Regulations. Does ADU Law Apply to Charter Cities and Counties? Yes. ADU law explicitly applies to “local agencies” which are defined as a city, county, or city and county whether general law or chartered (Section 65852.2(i)(2)). Do ADU’s Count Towards the Regional Housing Need Allocation? Yes, local governments may report ADUs as progress toward Regional Housing Need Allocation pursuant to Government Code Section 65400 based on the actual or anticipated affordability. See below frequently asked questions for JADUs for additional discussion. Must ADU Ordinances Be Submitted to the Department of Housing and Community Development? This information is for reference only and lot specific information will be gathered during Phase 1 Feasibility Study.